If you take a UK caravan holiday in winter with the kids they may not be able to participate in many of the activities available in the summer. Planning for bad weather is a great idea since all parents know the trauma of bored and dissatisfied children. Here are some great things to do in and around our North Wales Holiday Parks, in the rain or other inclement weather conditions. Take some of these inexpensive books with you when you rent a caravan, together with crayons and felt tip pens if you have young children. You could also take some drawing paper and get them to demonstrate their creative, artistic talent. Make sure you have wellies and umbrellas and make it an educational trip. You can point out plants and get the children to learn their names. If you see birds or wildlife they might want to make a note of what they have seen and then when you get back to the caravan, they can write a story about their trip. Since you are away from home, exploring nearby market towns and small villages will teach children how different, rural or coastal communities lead their lives. Search the net for family orientated pubs and restaurants where you can settle down and “people watch”. Make sure you don’t stare though! Dedicated fisherman will go out in all weathers to catch fish. Check with your holiday park where you are allowed to fish and whether you need a licence. The chances are you will need one and they can be obtained from the Post Office. Children under 12 don’t need one; adults can purchase a licence for under £10. Take your children’s focus off their phones, Xboxes and other electronic gadgetry by playing board games such as Monopoly, Trivial Pursuit and Snakes and Ladders. Usually, there will be some board games or puzzles in caravans for rent but don’t rely on it. Either check with the owner or take some with you. Some caravan holiday parks provide entertainment for children and adults all year round and you can find out about this before you rent a caravan. However, quality time spent with the family on a caravan holiday, inside the caravan can be a great deal of fun for everyone. Gnats or mosquitoes can cause us great discomfort on caravan holidays in the summer, especially when we are sitting out on our verandah in the evening. There is a huge difference between wasp and bee stings, which are caused by them injecting venom into us, and gnats that want to gorge on our blood. The reason mosquito bites become raised and itchy is due to the anticoagulant the insects inject to prevent our blood clotting. Our bodies are allergic to the stuff hence the itching and red lumps. Green tea bags – take a used green tea bag and put it in the fridge until it becomes cold. Press the teabag down on the bite and hold it there for several minutes. The coolness will relieve the itching and compounds in the tea will reduce the inflammation. Hot Spoon – heat a metal teaspoon under the hot tap for around one minute, then press it down on the mosquito bite for two minutes. When you remove it, the bite won’t itch anymore and it’s unlikely it will come back; if it does repeat the procedure. The reason it works is that the anticoagulant protein that’s been injected by the insect, dies at high temperatures. You’ll still have the red bump for a couple of days but not the discomfort. Alcohol – is an antiseptic and stops the sting becoming infected. It also burns or stings when it is applied. This sensation effectively takes over from the itching so although you still have the burning feeling, it’s not as uncomfortable as the itching. Aspirin – crush a couple of aspirins and add a drop or two of water to mix into a paste. Put the paste on the sting and it should stop the itching immediately. The acetyl salicylic acid in the aspirin will take the inflammation out of the skin as it’s an anti-inflammatory. Mouthwash – any mouthwash that contains menthol is great to dab on a sting or insect bite. It cools the skin and reduces the itching. Ice – put an ice cube on the sting rubbing it over and over the affected area. This will effectively freeze the area and you won’t feel a thing. If none of the above work put some cello-tape over the itching area because this will stop you scratching it. In this way, there is less chance of the sting becoming infected. Twitchers are professionals who record sightings of birds, in particular, rare ones and North Wales holiday parks provide perfect self-catering accommodation from which to set out on a birdwatching mission extraordinaire! The region of North Wales is an area of natural beauty and also the ideal location for bird watching opportunities, with many habitats and bird species all inhabiting a small area. There is nowhere quite as scenic as the North Wales coastline for some fantastic birdwatching at any time of the year. The most important equipment you will need for bird watching is your eyes. However, if you feel this is going to be more of a hobby or serious pastime, rather than just a one-off visit, there are several items that you may need, depending on your budget. A notebook and a pen to write down date and time, location, habitat and weather. Make a list of the birds that you know, and if you don’t recognise any, do a quick sketch that you can research later. Binoculars, a decent pair should last you a lifetime, so buy the best pair that you can initially afford. Clothing, as you can expect to be outdoors most of the time, opt for lightweight, waterproof but warm items. Camera, initially maybe begin with a simple to use a digital camera, perhaps one with a zoom lens. A later purchase may be a camera with a telephoto lens for high definition shots. A field guidebook, listing the different types of birds, usually illustrated with photographs or drawings to help you identify the various birds you will see. There are several important factors that make Wales a perfect situation for bird watching. The area is surrounded on three sides by the ocean, and many of the main birdwatching sites are preserved as National Nature Reserves. Snowdonia National Park, with river estuaries, rocky crags, sheltered woodland and coniferous woody areas, offers rich and diverse habitats that attract many bird species to the area. The nearest reserves to Whitehouse Leisure Park are to be found at Conwy (RSPB), Coedydd Aber (NNR) and Traeth Lavan. The RSPB website has detailed listings of birds recognised in the region at various sites, and in 2015, the total tally for birds spotted was 150 species at Conwy Reserve. The promenade at Llanfairfechan delivers some unsurpassed bird watching opportunities and is a brilliant location to while away a few hours. Many watchers are attracted here each year, to spot the many different species of waterfowl and seabirds. When the days start getting longer, and the prospect of spring and better weather is looming get yourself prepared with the necessary tackle; choose a holiday park in North Wales where accommodation is often discounted at this time of the year and make a point of getting out to do some “twitching”. 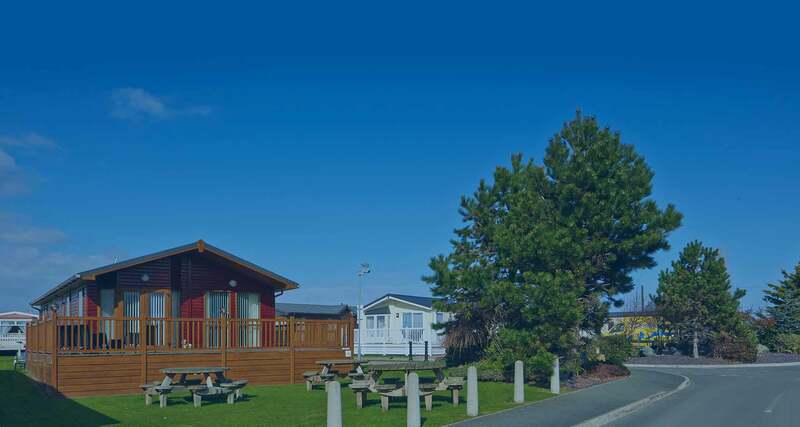 North Wales Holiday Parks – Which is the Best? With so many Caravan Parks in North Wales, Whitehouse Leisure Park owners believe we are simply the best in North Wales. However, we acknowledge that potential caravan owners have different needs. Whitehouse Leisure Park caters mainly for families. If you have kids, they are going to have a great time here in the Kid’s Clubs. As parents, you’ll also enjoy the buzzing atmosphere during peak season. We have a fantastic restaurant, bar and general store for provisions. And you are able to use the great facilities at Golden Gate Holiday Centre next door with whom we have an arrangement. Between the two parks, we have more than you will ever need to enjoy fabulous, active and entertaining holidays. There are some people who like quieter and more relaxing holidays, and if you do we can recommend Sirior Bach Caravan Park. This rural retreat is set in 19 acres of stunning countryside, yet only 3 miles from Abergele and the beach. It is near enough to local activities but far enough away to not be disturbed by them. Owners on this site love the natural surrounding as well as the peace and tranquillity it affords. It is the perfect location to forget about work and the stresses of daily life. Close to Sirior Bach Caravan Park is Mountain View. This is an exclusive luxury holiday lodge resort nestling in woodland. There are quiet and busy areas of this park so you can choose to be near the action are far away from it. The Lodges on Mountain View all have 12-month licences so you can use them all year round. Please note that they are not residential but holidays can be taken in them at any time of year. Whether you are buying a holiday lodge or caravan on one of the many caravan parks in North Wales, it’s incredibly important that you choose the right location for your needs. Before we sell any lodge or caravan we take the time to understand what you require from your holiday home and park. We can also take you on a tour of many parks so that you can see what each has to offer. At Whitehouse Leisure Park we have lodges and caravans to rent, as well as for sale. If you rent or buy a lodge it will be available for use 12 months of the year. Check our Park Facilities page to find out what we offer.